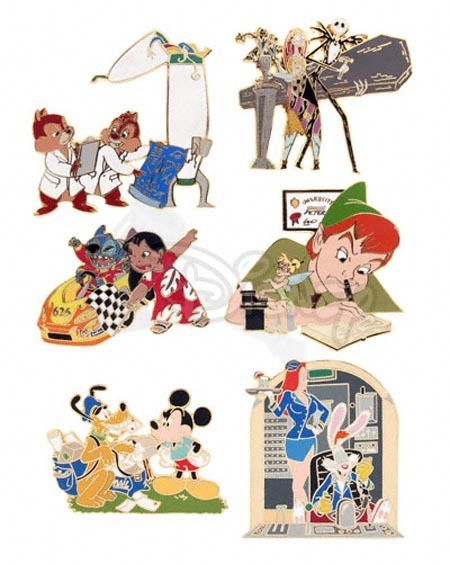 Disney Auctions offered a varying assortment of detailed pins. Many of the most sought after and coveted from that time are the LE 100's. 75 of the pins were sold together in the set, and 25 of each pin in the set were sold separately. A one-of-a-kind Artist Proof set of the Roger and Jessica Occupations pin was available in silver, gold and black metal.